I'm thinking about upgrading the brakes on my e87 120d. Are the brakes from the 135i worth it? Or shall I just put in a EBC brake disc and pad upgrade kit? Or any other brake upgrades people recommend? Cool, so what’s needed for that 335 brake upgrade? Discs, pads, callipers and carriers? Anything else? Also, do both 335i and 335d brakes fit and how much bigger / better are they than a standard 123d? Cheers for the assistance, this looks like a great mod. 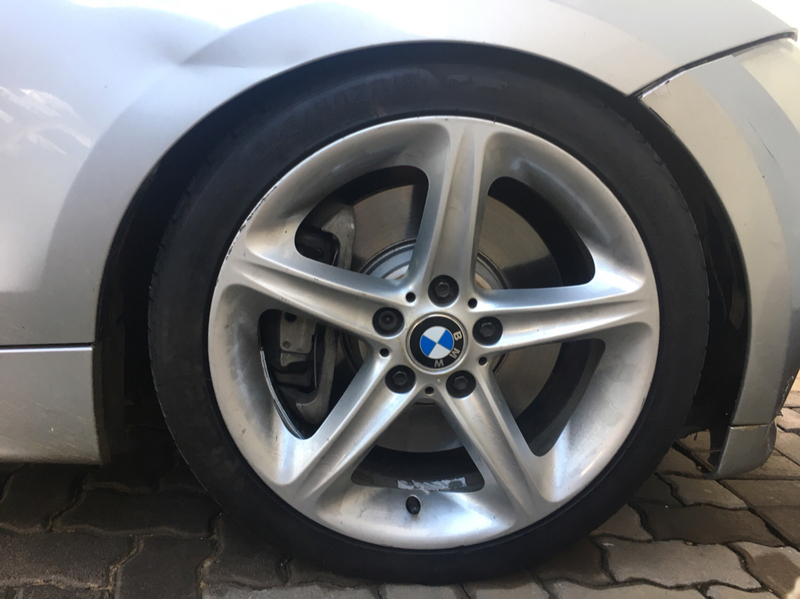 With the 335i calipers they run a 348mm disc. I assume this will fit fine with my 18" wheels? And as previous asked what's need to secure these? Slightly off topic but relating to brakes... Does the E82 135i have the kevlar reinforced brake hoses like on the F series X35/X40's? If they don't then braided hoses could be a good addition to your upgrade plan. Fit F3x 340mm front brakes - the 4 pot Brembo's. R99 wrote: Fit F3x 340mm front brakes - the 4 pot Brembo's. Can someone answer the following ? Is this a straight swap eg original lines used ? Do these fit under 18” 261 without spacers ? Perfect, it’s just the fronts I’ll be doing - is the pedal feel the same ? Also did you fit the 335i splash / dust shields ?